Russian private carrier IrAero Airlines has not been flying its recently-added three Boeing 777-200ERs for more than a week, since the airline severed relations with Chinese partner, travel agency Zhujiang (Pearl River), in December. Having failed thus far to find replacement work for the B777s, the wide-body aircraft have become stuck on the ground at Moscow. The development comes just five months after officially launching services to China utilising the three Boeing 777-200s that were leased for the purpose. After the split, IrAero immediately stopped flying from cities across Russia to resort destinations on Hainan Island. The airline blames the Chinese tour agency for ‘not fulfilling its contractual financial obligations’. Although the management of the Irkutsk-based carrier is now busy searching for alternative business opportunities to keep its B777s flying, according to Russian Aviation Insider sources the earliest contracts may not materialise until the spring at the earliest. 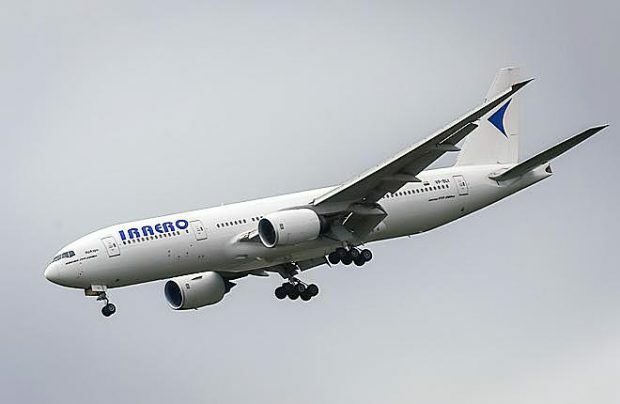 The last time IrAero commercially operated a Boeing 777 was a flight from Vladivostok to Moscow on January 10. After that, all flights to Russia’s east coast were suspended due to low seat load factors on the 371-seat aircraft. The remaining two aircraft have not flown at all this year. Their last flights were on December 26 and 29 from Punta Cana to Moscow on behalf of Russian leisure charter carrier Azur Air. All three of IrAero’s B777s are currently stationed at Moscow’s Domodedovo airport. An IrAero source has told Russian Aviation Insider that the management of the airline is currently in negotiations to find replacement work for the grounded aircraft. There are apparently agreements in place for the re-launch of flights to China and also to Turkey in April, he says. IrAero introduced the Boeing 777s – which were previously operated by the defunct VIM Airlines – to its fleet of regional aircraft last year, with a view to serving the Chinese market. The first of the aircraft arrived in Moscow in June 2018, but the charter programme was launched four months later. The core of IrAero’s main fleet is made up of 100-seat Superjet 100s (SSJ100s), 50-seat Bombardier CRJ200s, as well as An-24/26 turboprops. It evidently requires a special skill to manage such a varied fleet and one that offers a wide range from 42 seats to 371-seater aircraft.